NEW YORK — The word “leaks” does not begin to describe President Donald J. Trump’s problem. “Geysers” is more like it. He should apply a giant wrench to this deluge. While this presumed leak benefited Trump, it still reeks of stolen goods. If, in fact, an IRS staffer or another federal employee swiped Trump’s return, he perpetrated a felony under 26 U.S. Code 7213. Punishment could include a $5,000 fine, five years in the slammer, or both. President Trump should instruct the Justice Department to investigate how this document surfaced. Anyone at the IRS or elsewhere in the swamp who released it should be handcuffed, tried, and — if convicted — catapulted into a federal penitentiary. Even more worrisome are the leaks that have scattered state secrets to the winds. Since Trump’s inauguration, the entire planet has read details about his phone calls with the leaders of Mexico and Australia, former NSC chief Mike Flynn’s communications with Russian Ambassador Sergey Kislyak, the CIA’s possible re-opening of overseas interrogation sites, and much more. Why would foreign leaders want to call Trump, knowing that their confidential words might get splashed across the world’s front pages within days? Why should Great Britain’s MI-6, Israel’s Mossad, or Japan’s PSIA share intelligence with Washington? Why not skip the middle man and simply hold a press conference on such matters? Never mind heads of state. Why should a pro-American chauffeur, secretary, or soldier abroad approach or cooperate with U.S. intelligence agents, given the risk that their identities might be exposed? Trump, his agenda, the confidentiality of Americans’ tax records, and U.S. national security all are being soaked, thanks to these fire-hose-like leaks. So far, his response has been far too gentle. 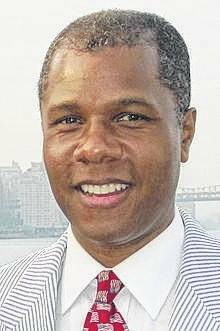 Deroy Murdock is a Manhattan-based Fox News contributor and a contributing editor with National Review Online.